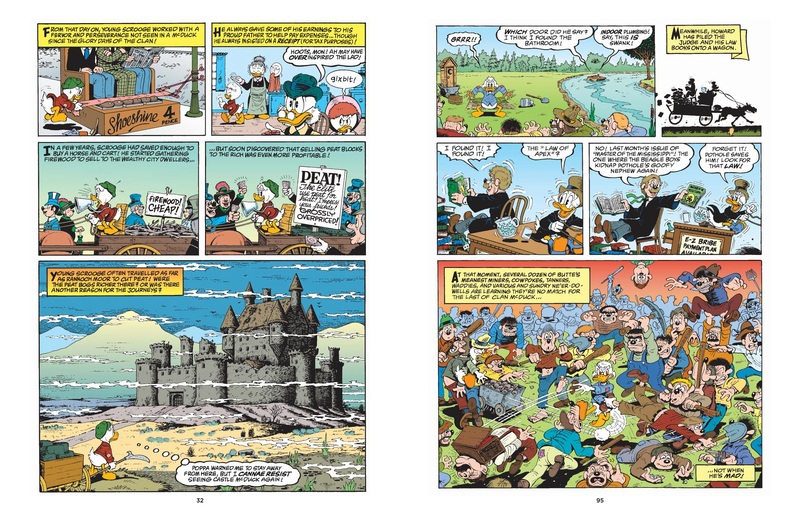 This fourth volume of Don Rosa’s Disney duck stories heads into the material for which he will be most fondly remembered. 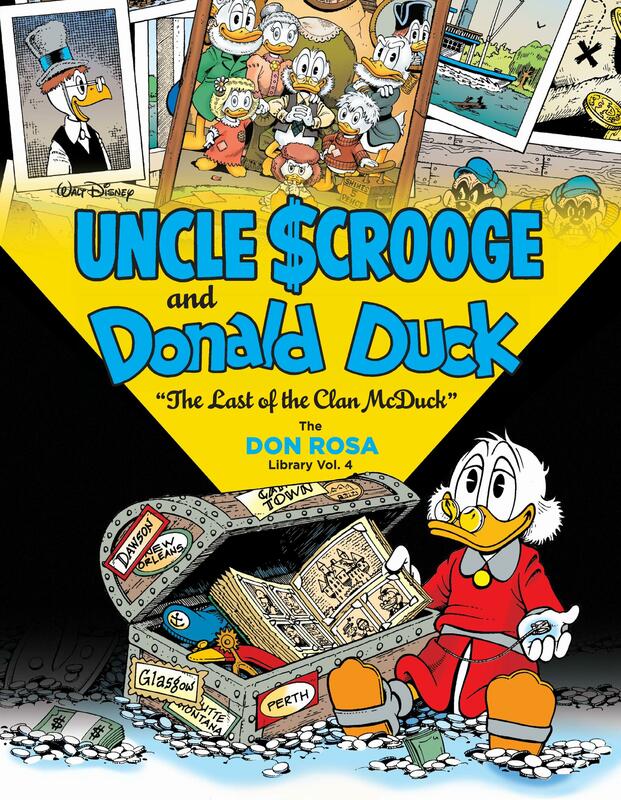 The biography of Uncle Scrooge is already revered in Europe, where comics starring Disney ducks still sell hundreds of thousands of copies, and even in English language territories, where interest is far more limited, this is now the fourth book publication of Rosa’s 1990s masterpiece. A biography was originally commissioned by Danish publishers Gutenbughus (now Egmont). 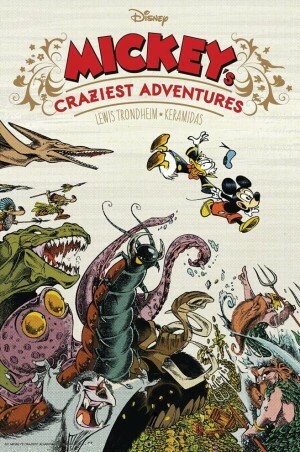 Rosa decided only duck stories by Carl Barks would be considered canon, and subsequently re-read twenty three years worth of Barks’ wonderful adventures. 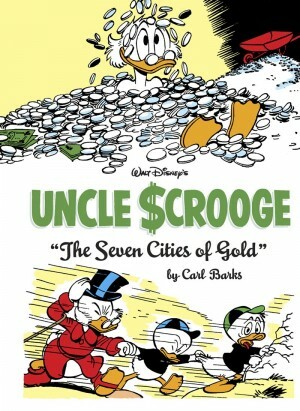 He mined them for every biographical nugget, and from those created thirteen chapters that followed Scrooge from his Glasgow birth in 1877 to the time he first met his nephew Donald in 1947. 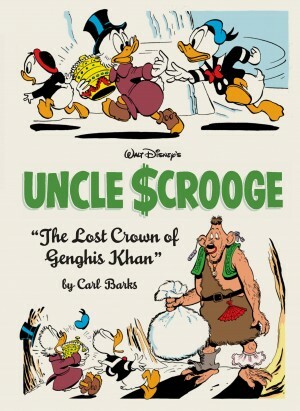 This collection only covers the first twenty years of Scrooge’s life, with the remainder carried over to The Richest Duck in the World, but what a treasure trove it is. Rosa’s story construction may sound dry, but the results are anything but, and the adventures he builds, sometimes around mere snippets of information, are superb. In his accompanying notes enlightening as to the details, Rosa is frequently self-deprecating about his art, but with no justification. Few artists have consistently managed to provide Disney’s ducks with the full emotional range in a convincing manner, and Rosa’s among that elite. His Scrooge radiates character. By the time he began working on this he’d produced numerous stories starring the familiar old crosspatch, but Rosa’s construction of the younger man as a more optimistic and open-minded person is very humane. Perhaps only Kevin O’Neill and Will Elder have matched Rosa’s notable penchant for packing the backgrounds of his panels with visual gags, providing an extraordinary artistic density. Rosa also nails the wild and inhospitable environments in which Scrooge operates. These stories are set in the days before the beginnings of his fortune, and there are pitfalls along the way as he travels from Scotland to the USA, then visits Australia and South Africa also. In each case Rosa makes full use of the artistic possibilities offered by the location, be they the local animals or the forbidding landscapes. For all the technical appreciation, it should never be forgotten that Rosa is first and foremost a storyteller, and each chapter is a solid adventure story with a multitude of laughs along the way. In these early adventures we see Scrooge’s first meeting with the Beagle Boys, Gyro Gearloose and Flintheart Glomgold, and Rosa is just as adept with their younger incarnations as he is with Scrooge. 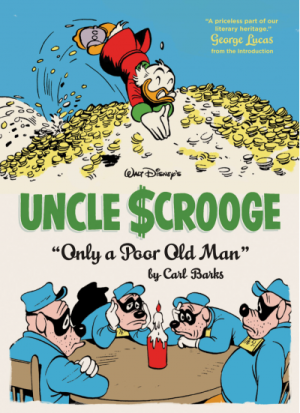 Scrooge also meets his ancestors, Teddy Roosevelt and others who’d influence his life. This is a wonderful collection of first rate material that more English language readers should know about.